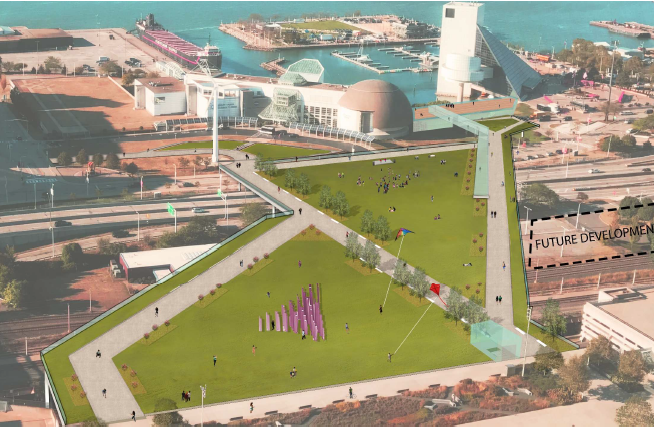 Imagine green space stretching from Public Square, all the way to Lake Erie. Under a proposal by the Green Ribbon Coalition, a 5.5-acre land bridge would extend the Mall over the train tracks and Shoreway, giving Clevelanders access to the lake. There’s even an all-weather walkway included. Check out the full story on cleveland.com/rock-the-lake.